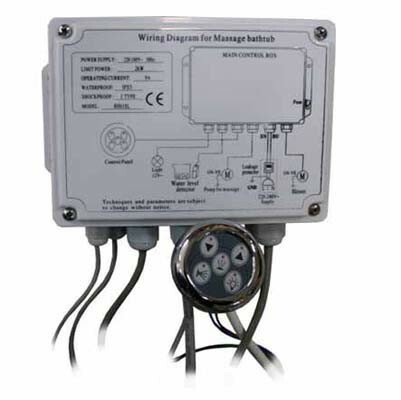 Electronic control system which includes a control panel. From there you can control the bubble system, lighting and water circulation. NOTE! The system has no temperature control.